Stevie’s roots as a solo performer were laid down some 15 years ago busking and playing floor spots at local folk clubs - an influence that still comes across in his music. 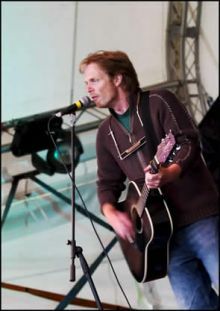 In the early 90s he spent two years in Germany, extensively gigging - mainly on the Irish Music Pub circuit - as one half of folk/rock duo Acres Wild. Playing original material alongside a wide range of covers they built up a good reputation as a solid live act and the experience provided him with a wealth of inspiration (and hangovers).